La Rosiere has built a strong reputation as a very Family orientated resort. 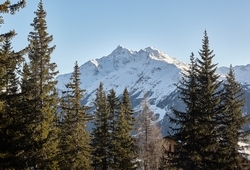 Offering a ski area covering some 160km of French and Italian Slopes, it is often regarded as the best-kept secret of the Tarentaise Valley. 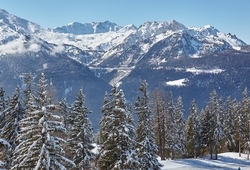 It has something to offer everyone, from long, gentle and sunny slopes on the French side, through to challenging, north-facing skiing on the Italian side. This is a purpose built resort, which has worked hard to develop an environment that matches the needs of its skiers and the region in which it is located. 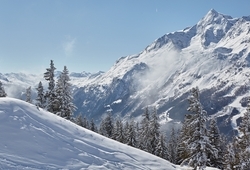 It is a resort that is perfect for the first time skier as well as those more die hard adventurer's who want to experience what is on offer across the border in Italy. A resort that hold families at the very centre of everything it has to offer, with many different pursuits on offer including, bowling, discos, and ice rinks. 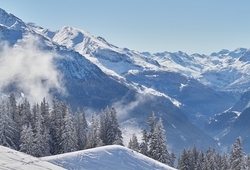 The whole atmosphere of the resort is very relaxed, lively and informal, ideal for those looking for opportunity to kick back and enjoy some downtime on the slopes in the day and apres-ski by night, of the more family orientated variety. 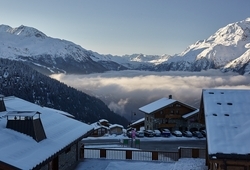 Due to its south facing orientation, from dawn to dusk the slopes of La Rosiere are bathed in sunshine, making it one of the sunniest resorts in this part of the Alps. 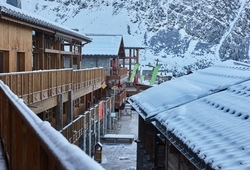 However this does not mean it is less snow covered, as its close proximity to Mont Blanc andthe Petit St Bernard pass, means excellent snow conditions are guaranteed from mid December to the end of April, with the resort regularly ranking as one of the top ski resorts in the Northern Alps for snowfall.